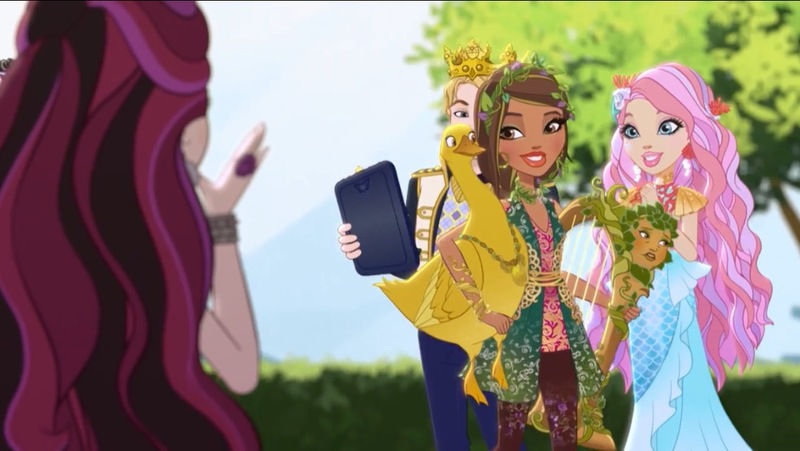 Raven Queen,Daring Charming,Meeshell Mermaid and Jillian Beanstalk. . HD Wallpaper and background images in the Even After High club tagged: photo ever after high chapter 4 beanstalk bravado jillain raven queen daring charming meeshell mermaid. This Even After High photo might contain strauß, korsage, sträußchen, sträusslein, blumenstrauß, posy, nasegay, and corsage.